Traversing the vast and varied landscapes of Siberia has always been a challenge. 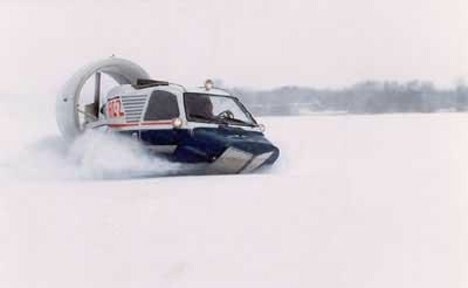 From the deep snow to the naked ice to the expanses of water and marshes, no one vehicle could cover them all until the A-3 Aerosledge. The A-3 was created to navigate all of these environments with ease. 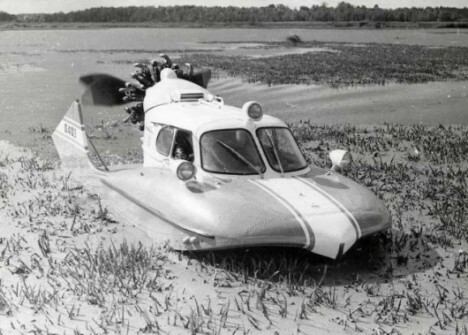 Designed in the post-WWII USSR by famed aeronautics engineer Andrei Tupolev, the vehicle was a propellor-driven amphibious sled that allowed access to even the most hostile, otherwise-unreachable areas. Tupolev’s main directive was to design a vehicle that would be able to deliver mail and medical supplies to remote communities or to transport passengers to the nearest medical facility. The craft was small and light enough that it could be transported via helicopter to wherever it was needed. 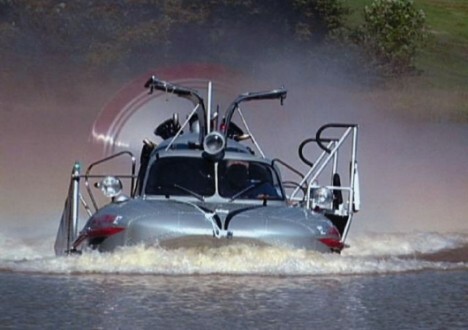 The A-3 looked like a futuristic speedboat complete with gullwing doors. Its body was incredibly lightweight and watertight, featuring three separate watertight compartments that allowed the craft to stay afloat even if one of the chambers became flooded. A slightly upturned bow and clever design meant that as the A-3’s speed increased, it would slightly hover above snow or water. This was a particularly helpful feature when it came to zipping around on light, fluffy snow that would have slowed down any other power sled. Inside, the passenger compartment could carry up to a maximum of 1,443 pounds over ice and 661 pounds traveling over water. There was enough room for a driver and plenty of cargo, or a driver and four passengers when additional seating was installed. 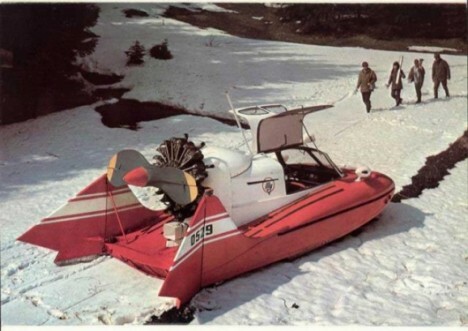 Only around 800 A-3 Powersledges were ever manufactured, with production ceasing in the early 1980s. 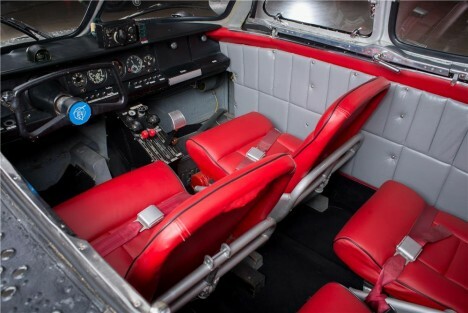 Only one – a 1978 model – was known to have made it to the US, after the new owner found it in Russia and had it restored to pristine working condition with the help of experts from around the world. It was sold at auction in 2007 for $187,000 and again in January 2015 for $220,000.